We also Provide Flooring Service to our clients. We are offer a reliable and durable surface for commercial and industrial flooring. Epoxy floor coatings are normally applied over concrete floors to provide a high-performance, smooth and durable surface. 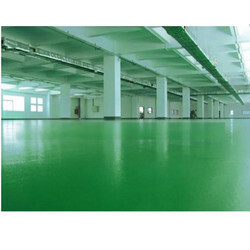 To meet the variegated necessities of our respected patrons, we are engaged in rendering Epoxy Flooring Service. These services are accomplished under the guidance of well-informed experts who have prosperous industry practice and skill. We render these services at nominal prices. Timex flooring is also known as Vacuum De-watering floor. 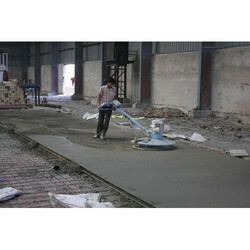 It is used in flooring construction of factory, car parking, concrete roads, bus terminals, etc. subject to high volume of machinery.These services are highly admired by clients across the nation for flawlessness and accuracy. Further, our trimix flooring has many advantages over the traditional concrete floors and has gained worldwide fame in a very short span of time. It increases the compressive strength and the tensile strength of the floor. Clients can avail these services from us at the market leading prices. Looking for Flooring Service ?